HISTORY Giaconda vineyard was established by Rick Kinzbrunner, a mechanical engineer who became interested in wine in the early 1970's. 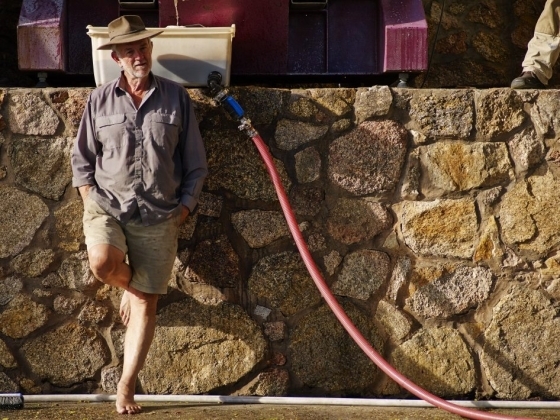 Rick then spent the next ten years working in the industry, travelling and following his passion for wine. After a brief stint in New Zealand, he studied at Davis University in California and worked at some of the most respected wineries in the Napa and Sonoma Valleys (namely Stag's Leap, Simi and Matanzas Creek). 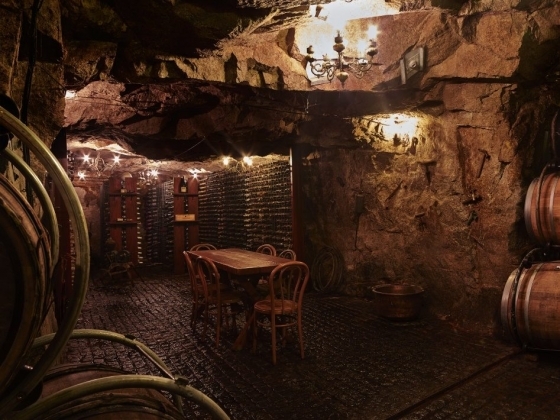 In Europe he worked for the Moueix group in Bordeaux, co-owner of the fabled Chateau Petrus. 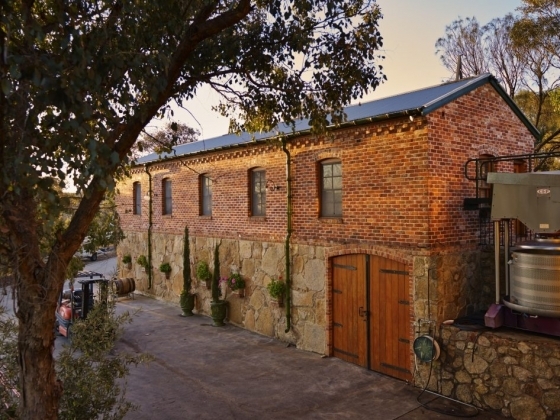 After returning to Australia in 1980 to take up a position as assistant winemaker at Brown Brothers in Milawa, Rick purchased land in the nearby Beechworth wine region - at the foothills of the beautiful North-East Victorian Alps. Planting commenced in 1982 and the property is now devoted solely to Chardonnay, Pinot Noir and Shiraz. 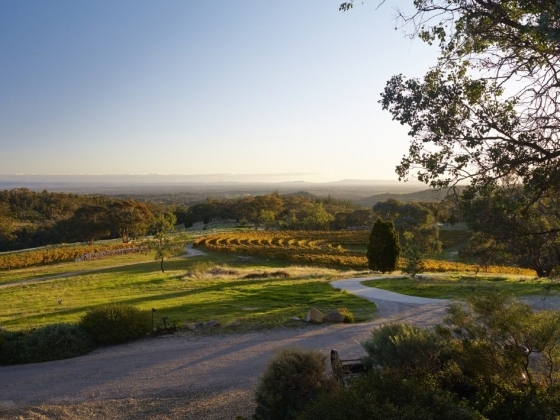 A separate planting of Nebbiolo has also been established close to the Beechworth township at Red Hill. Total area under vines at the Giaconda Estate Vineyard is now 4 hectares. 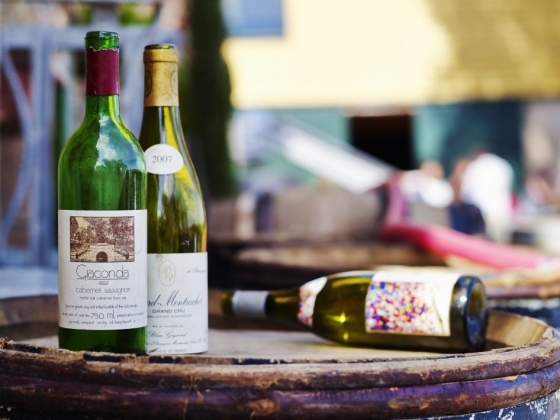 Annual wine production is approximately 2,500 dozen bottles. Rick’s son Nathan Kinzbrunner also works full time at Giaconda and has done so since the 2007 vintage. 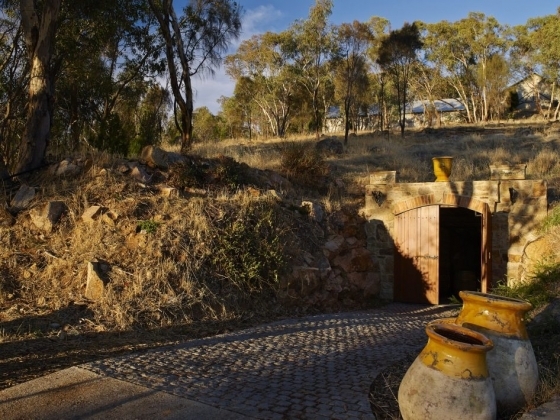 His responsibilities include Assistant Winemaker and General Business Manager. THE VINEYARD At an altitude of 400+ metres (1,312 feet) the site and climate are influenced by the surrounding alpine valleys. The Chardonnay is planted on a relatively cool south-facing slope which is sheltered from the direct impact of the sun's rays. This results in a much slower ripening period, greater flavour complexity and natural acid levels. The Estate lies in a small valley which benefits from a light breeze much of the time; this is very effective in controlling disease. Our Estate Vineyard Shiraz is planted on the amphitheatre block at the top of the property with a warm north-facing exposure. 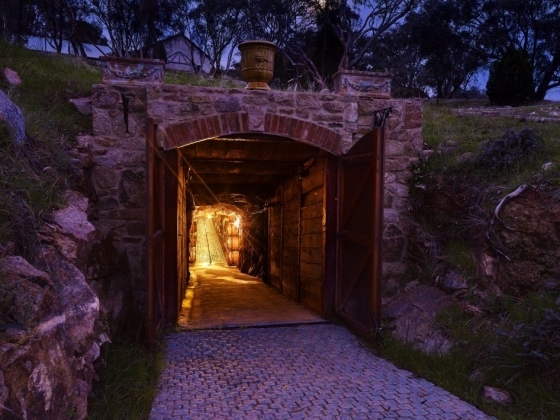 Warner Vineyard Shiraz is grown on a slightly higher elevation, 6.5km from the Beechworth township on ancient granite soils typical of the general area. These vines are also planted on a warm north-facing exposure. The soil is 450 million year old granitic loam over decomposed gravel and clay. The clay is important in allowing sustained water-release to the vine roots; while the soil, being not too rich, is ideal for wine quality - lower yields are naturally regulated. The vines are drip irrigated in hotter years only when it is necessary to prevent vine stress. The average rainfall is 800 mm annually, a little of which can be received during summer. Nights are generally cool with days being fairly warm, providing ideal conditions for slow ripening. Vintage begins in late February or early March, depending on the season. All grapes are hand-picked in the cool of the early morning before being processing at the winery on site. Cropping levels are approximately 2.5 tonnes per acre. 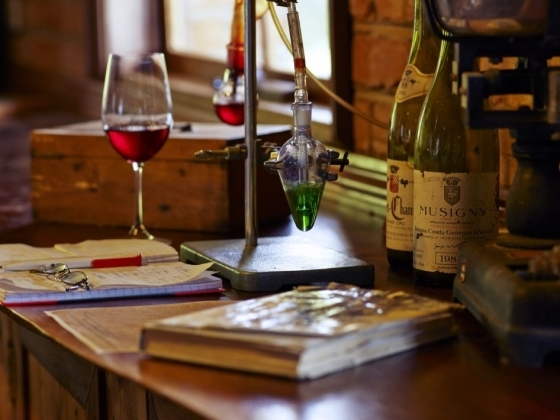 WINE MAKING Wine making should be subtle and always seek balance - this should never seek to dominate the Terroir or characteristics of any given vintage. 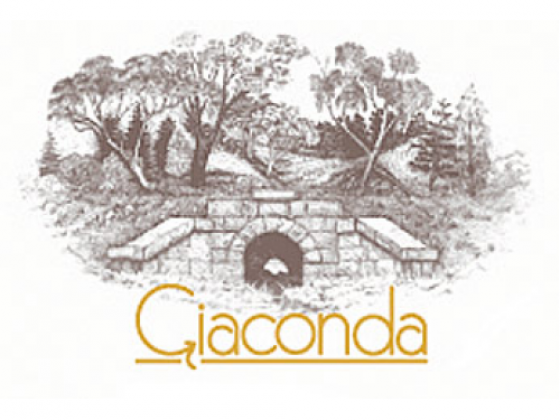 Giaconda wines are hand-crafted according to basically a natural wine making process. To us this means indigenous yeasts are employed for fermentation, natural bacteria for Malolactic fermentation, French oak barrel ageing, minimal sulphur additions, and no filtration before bottling. The winery, barrel maturation cave and bottling facility are all set up for gravity flow. This means the wines are very rarely pumped or manipulated mechanically. 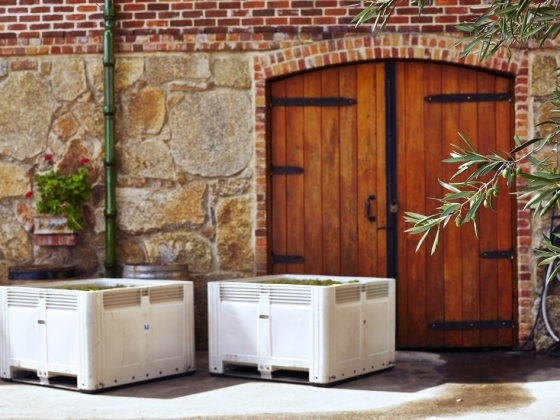 Instead they are gently moved by gravity or gas pressure during the entire wine making process. 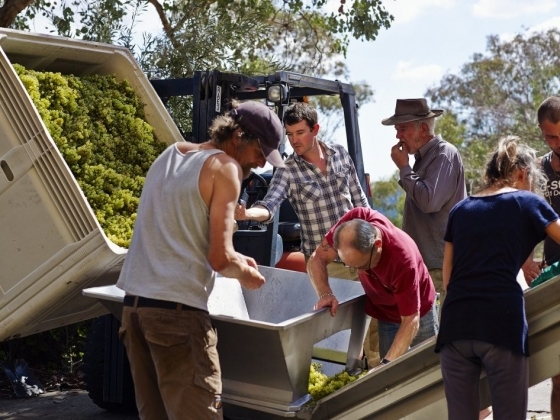 In the case of Chardonnay, our fruit is hand picked, lightly crushed and then basket pressed - before being transferred to French oak barrels (approximately 30% new) for fermentation and ageing. For the red wines, a combination of whole bunch and de-stemmed crushed fruit is transferred to large concrete tanks for fermentation. 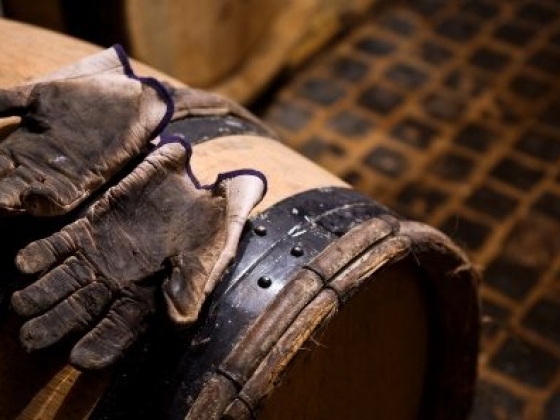 These wines remain on skins for an extended period to develop softer, finer tannins and more complexity; before being basket pressed and transferred to French oak barrels (up to 40% new in some cases) for ageing. 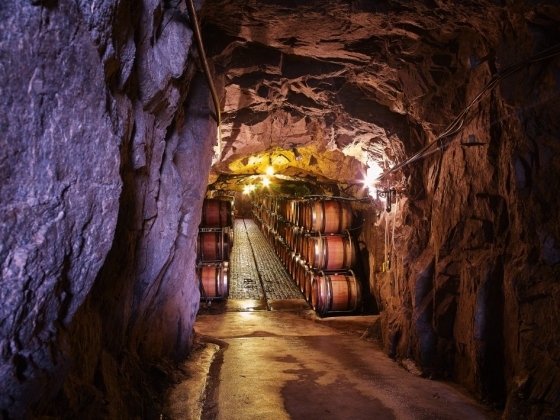 Our wines are aged in French oak for almost two years - deep underground in the granite maturation cave, which can be seen below. 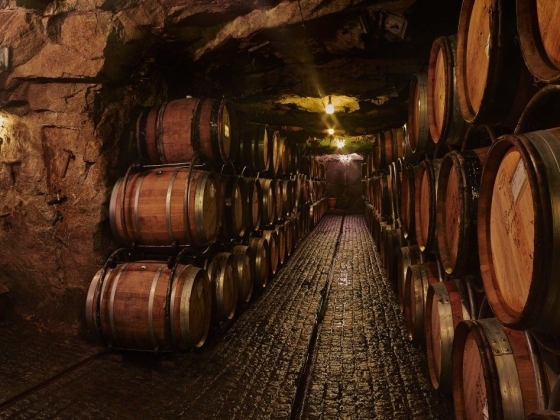 This cave offers optimal conditions for fermentation and ageing with a stable temperature of 16 degrees centigrade and naturally high humidity all year round.